What on Mars is out there? And why do we seem to be in the firing line? 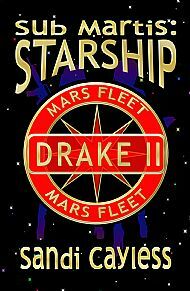 Copper and Linen, drafted into Mars Fleet and honing their skills at Beagle Basecamp, find Fleet training tough enough but the adventures on leave even tougher… Posted to the mighty MSS Drake II under the command of their scary ally Colonel Moritz, they face duty and discipline, new friends, strange allies – and dangerous foes. Why does the Drake seem to be the target of saboteurs on the way out to Sol system edge? Are alien influences undermining Mars and her allies? Will they finally understand who and what Spook was and is, and what his people were doing on Mars in the dim and distant past?